Item is a watercolour sketch of a costume design for Dalhousie Theatre's 1983 production of A Midsummer Night's Dream. 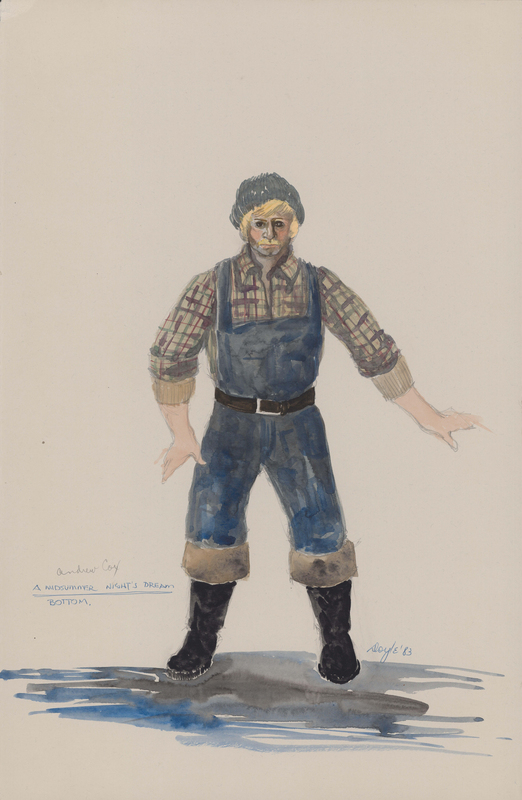 The costume is for Bottom, played by Andrew Cox. The sketch shows one male figure wearing the costume.